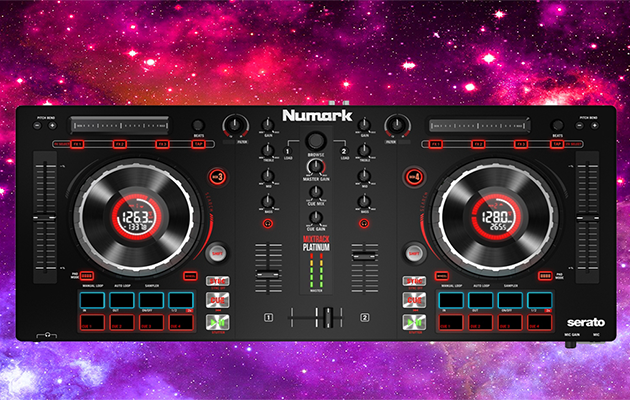 The Numark Mixtrack Platinum DJ controller features a high resolution platinum display, four decks and total Serato control. The highly anticipated Mixtrack Platinum DJ controller is finally here, and they say it’s like listening to a good song. This portable unit is ideal for beginners, as well as situations that don’t call for a lot of gear. The 1.75″ hi-res display monitors tell you about BPM, platter position, time remaining, key lock, pitch adjustment and keylock — without having to look at your laptop. In addition to a four-deck layering advantage, there are 16 multi-function backlit performance pads that add loops, launch samples and control hot cues. Each Mixtrack Platinum DJ Controller comes with Serato® Intro software enabled. Plug the controller into your Mac or PC laptop, then connect speakers as well, and then start mixing. Serato DJ Intro’s groundbreaking colored waveform help you mix songs and scratch records like a professional. 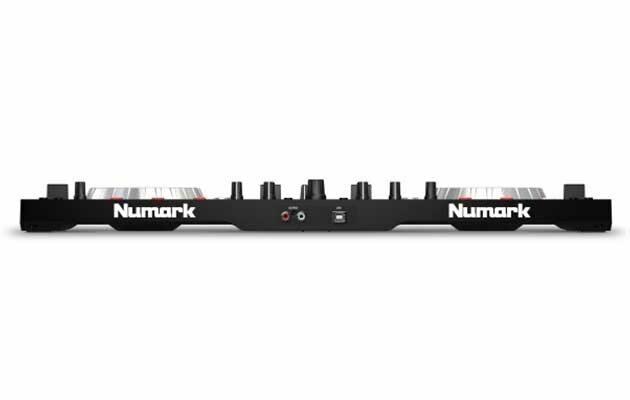 Numark’s Mixtrack Platinum DJ Controller starts at $299 from licensed retailers. Visit their website to study the technical specifications. Kicking off the month with our NEW Mixtrack Platinum!. Be the first to check it out. See bio for link. Save money on music downloads at BPMSupreme.com! Learn more about membership with the BPM Supreme record pool.